William & Pippa Funnell are world renowned sport horse professionals based in Surrey. Pippa is firmly established as one of the world’s leading three day Event Riders, William is an International Show Jumping Champion and they have a joint venture with Donal Barnwell on the hugely successful Billy Stud producing over 40 top bred foals each year, and many great Sports Horses bred and trained to Williams own unique philosophy. Pippa started her equine journey with trainer Ruth McMullan and has become a well-established, leading International Three Day Event rider who won her first National Championship on Sir Barnaby at Bialy Bor in Poland. She has gone on to consolidate her position with wins such as the Rolex Grand Slam (consecutive wins at Rolex Kentucky, Badminton and Burghley), becoming the first person to achieve this arduous feat. Pippa went on to become 4th-time consecutive winner of Blenheim International Horse Trials. Pippa’s’ also enjoyed success with Team GB Olympic Games in Sydney 2000, Athens 2004 and Rio 2016. On top of this success, Pippa Funnell: The Autobiography launched in 2005. Pippa has also appeared in DVDs; Pippa Funnell, Road to the Top and The Funnell Factor, stars in computer games and is the author of a children’s series Tilly’s Pony Tails. Her determination, drive and devotion are an inspiration to many. Her horses have included Supreme Rock, Primmores Pride, Bits & Pieces, Walk on Star and Ensign. Pippa was awarded an MBE in 2005 for services to equestrian sport. William Funnell is a top-class showjumper with over 20 years’ experience representing the UK and over 20 International title wins. 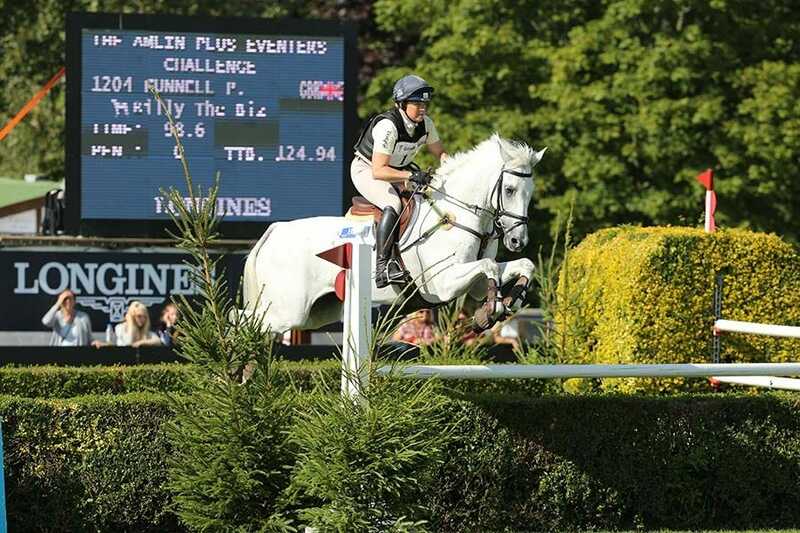 William recently achieved his 4th win at Hickstead Derby. Starting out William was riding ponies on the family farm in Ashford, Kent before working for Cyril Light at Brendon Stud as the second stable jockey to show jumper Simon Trent. Silver Medal Rolex Grand Slam of Eventing Sunday Times Sportswoman of the Year.